Through our property selling services offered in the area and across the West Midlands, Love Your Postcode has earned a strong reputation in the local market, becoming one of the most in demand estate agents in Tipton. Located about halfway between Birmingham and Wolverhampton, Tipton was once one of the most heavily industrialised towns in the Black Country. Most of the town is now in the borough of Sandwell, with the western fringes – including the Foxyards estate and the site of the former Tipton Town Hall – in the borough of Dudley. What’s the average house price in Tipton? The majority of sales in Tipton during the last year were semi-detached properties, selling for an average price of £139,401. Terraced properties sold for an average of £120,841, with flats fetching £59,349. Tipton, with an overall average price of £131,710, was similar in terms of sold prices to nearby Bilston (£133,030) and Wednesbury (£137,434), but was cheaper than Tividale (£153,282). Overall sold prices in Tipton over the last year were 6% up on the previous year and 9% up on the 2007 level of £120,448, says Rightmove. The average price for property in Tipton stood at £142,447 in November 2018. This is a fall of 0.92% in the last three months (since August 2018) and rise of 0.92% since 12 months ago. In terms of property types, flats in Tipton sold for an average of £88,638 and terraced houses for £125,851. This is according to the current Zoopla estimates.  Love Your Postcode adopts a modern performance led approach to selling: advertising online, on property websites, digital billboards, social media, newspapers, lifestyle magazines, digital window displays & property particulars. Our local estate agents in Birmingham give your home maximum exposure online & offline, getting it more views from potential applicants, therefore more offers, and ultimately the highest possible finishing value. This means you end up with more money in your pocket and you enjoy a higher quality service. Call us on 0800 862 0870, download our property app or book a free online property valuation today.